The Virginia State Bar Young Lawyers Conference has named two co-recipients of this year’s R. Edwin Burnette, Jr. Young Lawyer of the Year Award – Melissa Little and Crystal Shin. Melissa Little, of the Fairfax law firm Blankingship and Keith, has a distinguished history serving youth as evidenced by her time working for the Legal Aid Justice Center, representing students with disabilities in school disciplinary hearings, negotiating settlements, and appealing hearing decisions that had violations of state and federal law. She currently serves as a commissioner for the Children, Youth, and Families Collaborative Commission. In that role, she advises city leaders and staff on policies that affect youth and their families, collaborate with community partners to identify goals and action steps to address issues facing youth, and monitor the implementation of the children and youth master plan. In his nomination of Little, YLC President-elect Chris Fortier noted that she “provides a welcoming presence, allowing people to feel at home while answering their questions.” He noted that she has served in a number of positions statewide and nationwide covering a broad array of tasks to benefit attorneys seeking continuing education, children needing books, and people needing information on voter protection efforts. Fortier also stated that she is “a well-rounded and effective leader who will be the future of the bar.” He also noted that she was a Scholar for the American Bar Association Young Lawyers Division, a highly competitive position that exposed her to many aspects of the ABA. She was chosen for her tremendous potential for leadership. “She has delivered in her leadership not only for the ABA but for the Virginia State Bar. Crystal Shin was nominated because of her exceptional devotion to the conference, the legal profession, and the community throughout her career and service as co-chair of the Children and the Law Commission. Prior to law school, she taught at a rural public school through the Teach For America program, introduced a new district-wide science curriculum, and served as a grade-level co-chair. 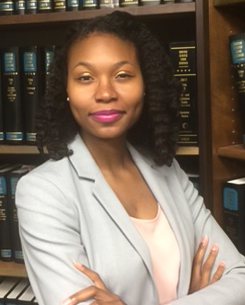 While attending law school at the University of Virginia, Shin clerked for the Public Defender Service for the District of Columbia, conducting research for and advocating on behalf of students with special needs. She also volunteered for the McGuireWoods Child Advocacy Project, advocating on behalf of students with special needs and incarcerated youth. 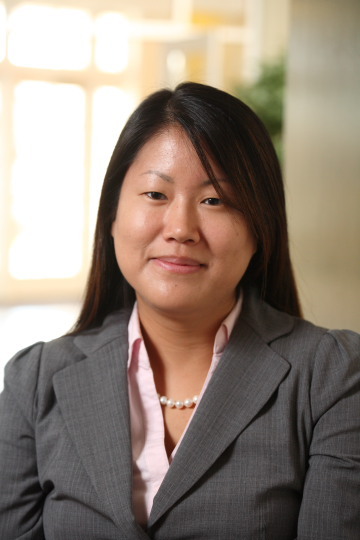 As an attorney at JustChildren/Legal Aid Justice Center, Shin represented students in cases involving special education, school discipline and juvenile justice matters. She also supervised law students enrolled in the Child Advocacy Clinic at the University of Virginia Law School. Law students in this clinic sought her expertise and guidance on cases involving special education, school discipline, foster care, and juvenile justice. Currently, Shin is the Director and Clinical Assistant Professor of Law at William and Mary Law School where she supervises and instructs law students enrolled in the Parents Engaged for Learning Equality (PELE) Special Education Advocacy Clinic and the Advanced Special Education Advocacy Clinic. The clinic’s mission is to assist “children with special education needs in obtaining a free and appropriate public education, including assistance with eligibility or IEP meetings, discipline matters, complaints, mediation, and due process hearings.” The PELE Clinic is one of the few legal organizations in the state that provides free legal representation on special education matters. She is known by her law students as a highly intelligent, organized, and compassionate professor, and a great role model for aspiring attorneys. Shin also plans and coordinates the annual Institute of Special Education Advocacy conference at William & Mary Law School, which attorneys and advocates from all over the nation attend to receive intensive training in special education law and advocacy. In addition to coordinating trainings, Shin has been a presenter at various local and statewide trainings and has also authored or edited multiple publications on education issues. Since the inception of the Children and the Law Commission’s revival in 2012, Shin has expanded existing programs and has helped develop new initiatives. As co-chair of the Children and the Law Commission, she has been instrumental in educating Virginia public schools about cyberbullying and sexting, as well as providing them with ABA Mock Trial kits. Shin, along with Assistant Commonwealth’s Attorney Darby Lowe, presented to multiple high school classes on the dangers and legal implications of cyberbullying and sexting. Shin, in collaboration with the Asian Pacific American Bar Association of Virginia, planned and executed an event in celebration of Asian Pacific American Heritage Month. The event introduced minority high school and college students to law schools and legal careers. The awards will be presented on June 16, 2017, during the YLC Membership & Fellows Reception and Lunch at the VSB Annual Meeting in Virginia Beach.